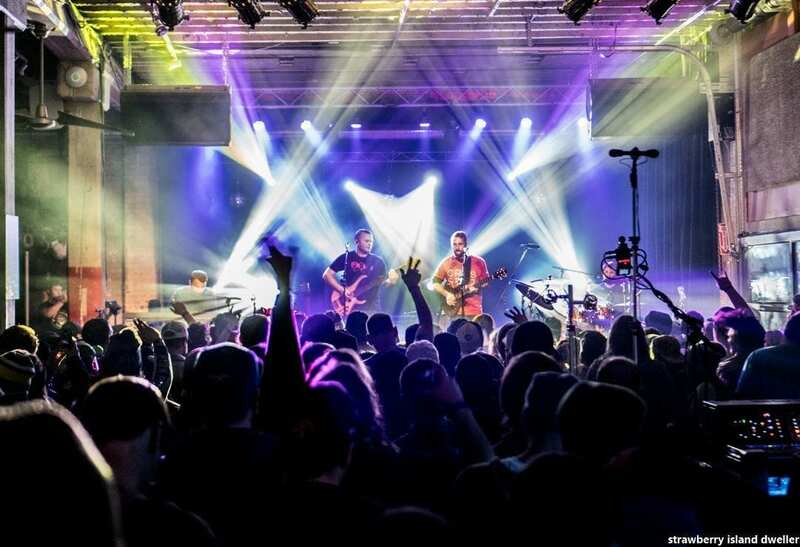 For the past couple of years, the Arizona native rock/jam band Spafford has been the talk of the town. With a seizure inducing light show, dual-set mind altering jams, and a cast of imaginative, highly-skilled musicians, it is no wonder why an old factory-converted music hall down by the canal was packed nearly to capacity on a chilly Thursday winter night. The up and coming funk-folk band Goose set the stage as they performed an opening set which undoubtedly expanded their fan base. The venue was slowly filling up as Goose started up, and they welcomed attendants with a light reggae groove which transformed the northern ice chest into a breezy paradise. Heads were bobbing, hips were swinging, and by the third song the venue was so packed there wasn’t enough space to wave down your friend at the bar. Goose’s set ranged from reggae dance numbers to upbeat funk to intense, guitar-driven peaks. Their well-crafted songs and impressive vocals bode well for their future in this competitive jam scene. By the end of their set, the crowd was so enthralled they nearly forgot they were there to see Spafford. It was like having a delicious shrimp appetizer that filled you up and left you smiling, completely forgetting about the filet mignon you ordered. Thankfully once the meat comes out you always find room for more and savor every bite until there is nothing left, and that is exactly the way Spafford delivered. By the time Spafford went on there was hardly any room to stand on the dance floor. Electricity surged through the air as newcomers awaited their first experience of the highly-anticipated musical experience, and veterans stood eager to re-enter their happy place. There is no doubt this small venue is not going to be large enough to hold them the next time they come back to Buffalo, especially if they come on a weekend night. The crowd exploded as the band picked up their instruments and created an airy soundscape as guitar player Brian Moss weaved delicate jazz licks over the building sound. Drummer/percussionist Cameron Laforest began to speed things up as the band followed and pushed their way to an intense bliss peak. Just the first song in and it was obvious they were here to make a statement as the song “The Postman” transformed again into an alien-funk abduction. Keyboard player Andrew “Red” Johnson pushed the jam further and further as they built a detached groove with all members contributing, careful not to step on each other’s toes. Endlessly rising, the high energy jam reached a sensational zenith and on the turn of a dime, was brought back to the instrumental verse accompanied by a roar from the crowd. “Backdoor Funk” followed the impressive opening number with a dirty, shadow-like aura as bass player Jordan Fairless took first swing at the vocals. The dark funk number saw Johnson layering vibrant chords while Moss bent his strings like he was breaking a chicken’s neck. The lights, controlled by lighting director Ben Factor, spun with the out of control jam and strapped the audience onto an out of control merry-go-round whirling through multiple dimensions. Eventually the ride stopped, and thankfully there were no casualties (though one girl did have to be taken out for an unrelated matter…), as the band fell back into the final verse. A bubbly rendition of “The Remedy” came next and gave the crowd a chance to catch their breath as they floated down the smooth river of sound the band conceived. The frothy raft ride didn’t last long however, as the band brought the jam into pure chaos to finish the number. A familiar rendition of the Grateful Dead’s “Feel Like a Stranger” came next and featured the crowd singing along with the chorus. 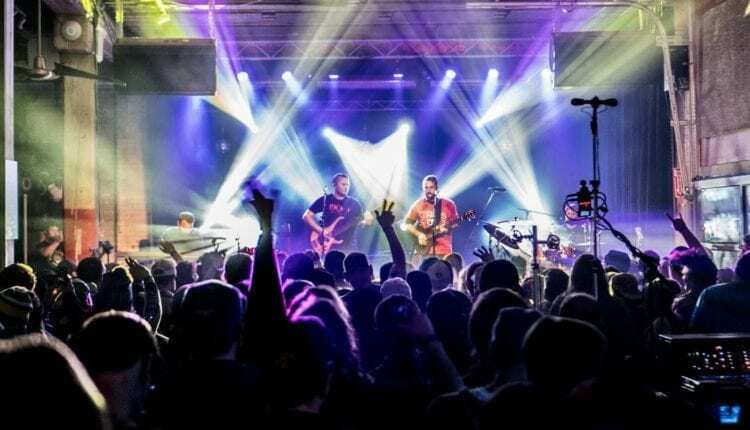 However, with Spafford nothing is truly without their own personal touch as though the solo was kept within the realm of song, the band created a distinct jungle of madness that would have made even Garcia nod his head with approval. The rock-infused ska number “Diana” brought out the rowdiness of the crowd once again before the band went into their last number of the set, “People.” They took their time building the jam in “People” as all four members communicated well with each other. They built the jam to reach the sky, and within a matter of seconds dropped it to a pit of nothingness. One of the major strengths of the band is their control of tempo and dynamics, and they demonstrated that impeccably. As they worked their way down, every member of the band left the stage leaving Johnson alone to deliver an eloquent outro solo, thus leaving “People” unfinished at set break. When the band came back for the second set, the crowd was even more unruly than before. They picked up right where they left off and began the second set at the solo of “People.” If there’s a better way to start a set then the middle of an intense bliss peak I’d like to hear it. “Plans” came next and displayed their diverse influences with a Latin-inspired groove. That did not last long, however, as “Plans” saw some of the most impressive jamming of the night. It jumped from high-speed guitar solo, with Moss’s fingers moving so fast it was as if he would have imploded had he stopped, to a slow, spacey crowd-teasing vamp, and eventually made its way to a tribal drum inspired, high tempo space freak-out which left everyone in their room both amused and disoriented. The band played around with tempo once again as they continuously shifted the speed of the funky “Virtual Bean Dip.” The groove shifted from an passionate peak to a quiet lullaby, back up the roller coaster to a boiling hallucinogenic realm as multi-colored prison spotlights bounced around the stage. Out of the delirium came the chipper “Galisted Way,” which gave the crowd another chance to gain their bearings. They kept the positive vibes going with “Crazy,” a song that is reminiscent of being at a waterfall on a summer day. Light-hearted as it may be, the solo by Moss lead to a confetti-cannon explosion of sound before they ended the final verse on another high note. The last song of the set, and second cover of the night, Tears for Fear’s “Mad World” featured some of the most exciting moments of the night. The song proper was a time capsule back to the eighties, complete with sweaty men with bad dance moves, until the fat bass line hooked up with the increasing robot noises spewing out of the guitar and worked their way into a more futuristic boogie. As the rattling guitar pulled away from the ‘80s dance number the band once again connected to build tension. The more they built it up the more it felt like they were filling a balloon, and everyone held their breath until it popped. After overfilling two times over, the band finally released, and the crowd was ecstatic. The set was over, but no one was quite ready to leave. As the crowd cheered for more, the band left the stage for only a couple of seconds before ending the night on the high-energy, short singalong “Salamander Song.” The band thanked the crowd, but the yells and cheers made it obvious who was truly thankful after that performance.